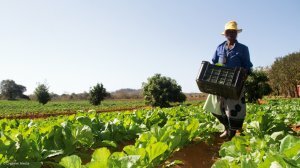 The government's proposed ban on foreign land ownership will only apply to agricultural land, President Jacob Zuma said on Thursday. Foreign nationals who plan to buy homes in South Africa will still be able to do so, as will foreign companies planning to purchase property, Zuma said in his response to the debate on his state-of-the-nation address. "The Land Holdings Bill applies to agricultural land," he told a joint sitting of Parliament. "It does not affect those foreign nationals who are planning to buy homes or residences." Zuma said he was responding directly to messages he had received from citizens expressing concern about the announcement in his address last Thursday that government planned to implement the proposed ban. One of those who wrote to him, he said, had asked how multi-national corporations investing in South Africa would be affected by the bill. "Multi-nationals will be affected only if their future property purchases consist of agricultural land," he said.